Item # 314510 Stash Points: 395 (?) This is the number of points you get in The Zumiez Stash for purchasing this item. Stash points are redeemable for exclusive rewards only available to Zumiez Stash members. To redeem your points check out the rewards catalog on thestash.zumiez.com. 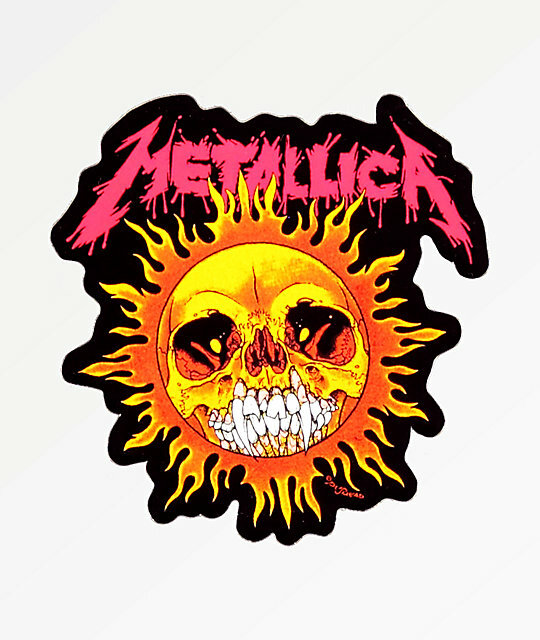 Add some Rock and Roll to your sticker collection with the Metallica Blazing Sun Sticker. This classic peel and stick adhesive features the image of a sun with a skull for a face and Metallica logo script above in red for a classic look. Sun with a skull at the center and Metallica logo script above. 3" x 3" &vert; 8cm x 8cm approx.